Radiohead is one of the most interesting and unique band in alternative rock history. In this episode we will focus on the 2000s works of the band. We will listen to Hail to the Chief (2003) and In Rainbows (2007). 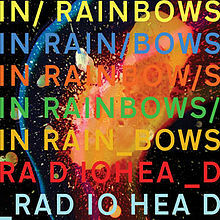 In Rainbows is unique for the band allowed listeners to pay what ever price they wanted for the album.